“I don’t have time for that.” I can’t tell you how many times I’ve said that over the past few years. I’ve said that about writing, exercising, eating breakfast, and lots of other things. Then I started to look at how I was actually spending my time and realized that I had more time than I thought. We all have things we want to do. I constantly have new ideas, books I want to read, and things I want to get done. In the past, I’ve convinced myself that I just didn’t have time. I had one of those moments over the weekend. I’m working on a new project and started to convince myself that I just didn’t have the time to do it. It’s summer and my schedule is pretty open. Of course, I had time to do it. I had to make time to do it. As I was going through my twitter feed, I saw a post by Michael Hyatt about designing your ideal week. I love how intentional he is about his schedule. He has time to work on his projects because he makes time. I budget my money so why wasn’t I budgeting my time? The same rules apply. We have 24 hours in a day so why not budget that time? With budgeting our money, we allow some funds for fun stuff. When budgeting my time, I do the same thing. I’ve got downtime each night to focus on me and unwind. Having that time was always something I felt guilty about. I think that is mainly because I wasted so much time during the day when I should have been working. I am going to be more intentional about my time. Over the weekend, I designed my ideal week. My summer schedule does not budget weekends right now but I may change that. My fall and spring schedules will budget weekends because I work during the school year and need those weekends for my hustle. 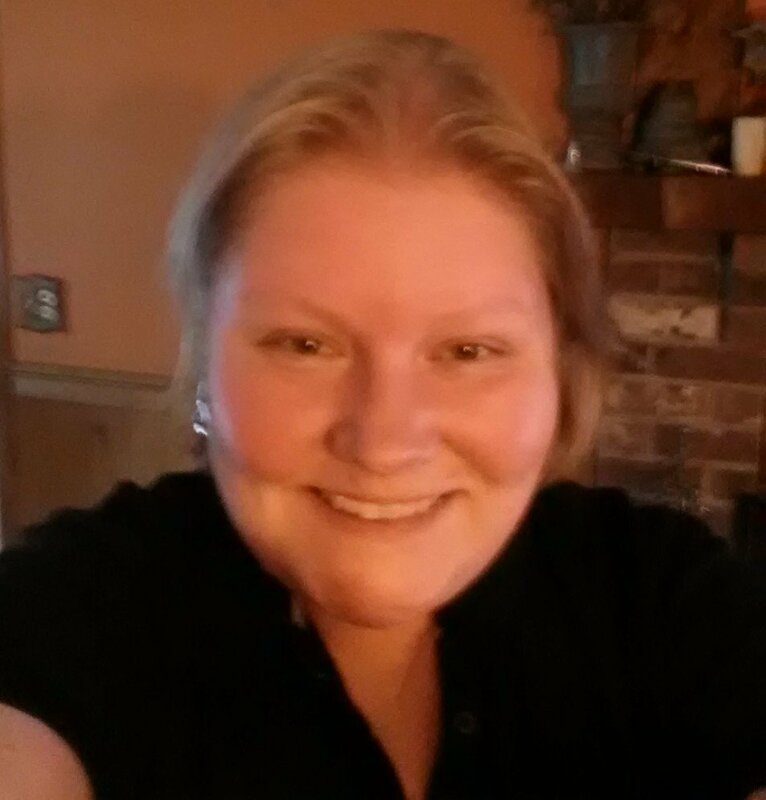 I included all of the things that I want to accomplish each week, including walking, errands, and housework. I scheduled housework because if I don’t I get distracted by it. I should be at my desk getting work done but I don’t because I’m doing laundry or some other chore. Now, I know I’ve got time scheduled for it so I can focus in the morning. I’m actually really enjoying my walks in the morning because it gives me time to clear my head and think about the rest of my day. I also use that time to listen to podcasts that I need to catch up on. It’s a great way to start the day. I also have a few times during the day to check email and social media. I get a lot of email each day and was constantly check it. I also love social media and sharing information with my followers which also took up a lot of my time. By being intentional about email and social media time, I am able to stay focused on other tasks during the day, knowing that I will have time for those activities later. I also don’t feel guilty about checking my email and social media because the time is scheduled for those things and I know I’m not missing out on something else I should be doing instead. For those of us who are self-employed or stay at home, a schedule is pretty important. It’s so easy to waste time during the day if we are not intentional about our time. I can’t tell you how many times I’ve looked up and it is already 3:00 and I have no idea where my day went. Now I know where my days are going. 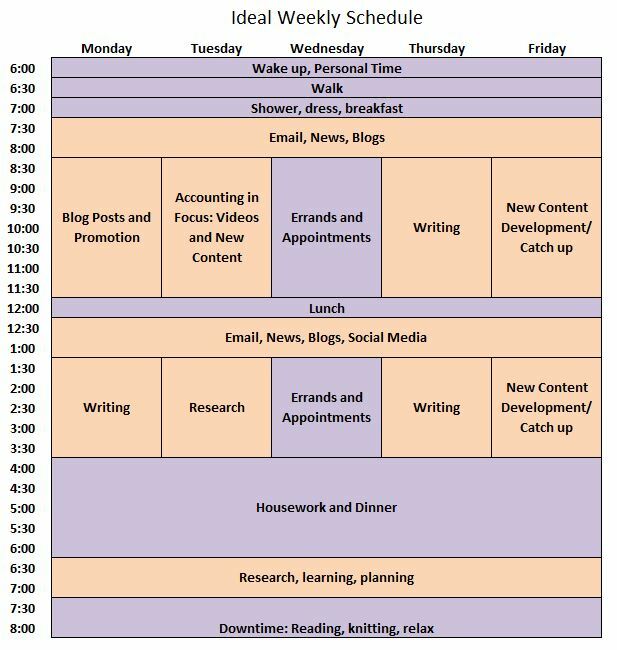 For those who work full-time and have side goals, having a schedule like this is key to your success. During the semester, my time is limited. Having a schedule allows me to know that the time I am not working at my job is being used wisely. This is also a great way for students to budget their time. When I was in school running in 50 different directions, having a schedule like this would have been really helpful. Start to be intentional with your time. You’ll be amazed what you can accomplish. What do you wish you had more time to work on? How can being intentional about your time help you accomplish your goals?